Small is cute and everybody likes cute. Small kittens, small babies, small objects - they're adorable. But when it comes to food, cute isn't so... Cute. It's unlikely you'll hear a person say, "Wow, they've hardly given me any fries with my meal. Aww!" No. Most people usually cuss and swear and demand their French fries. Yet some small food items are cute. 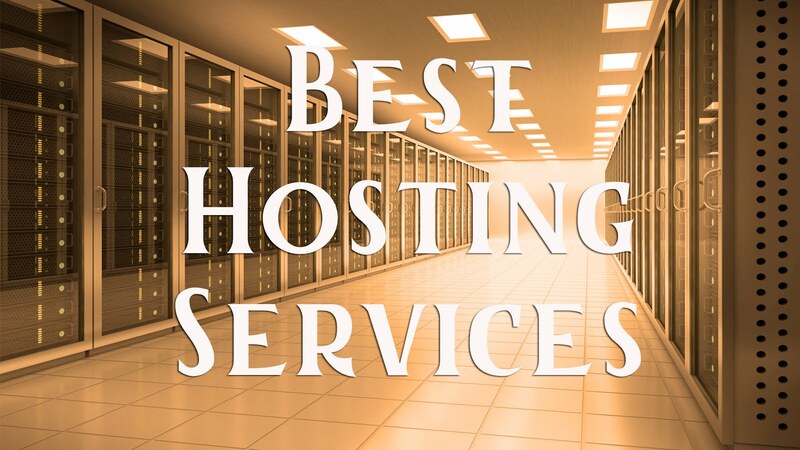 Especially when they're as miniature as those on the list below. If you're a fan of cute food items, you've got to see these. 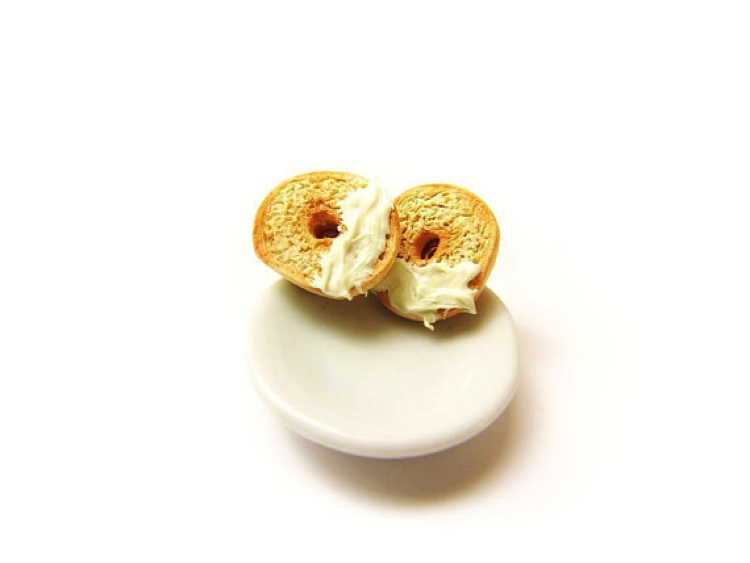 Why anybody would want to wear bagel earrings is a mystery. What isn't a mystery however, is how lifelike and incredibly realistic these look. So lifelike in fact, that if they were a little bigger, they'd be fooling hungry relatives eagerly trying to sneak a bite. Let's be honest for a moment. This necklace is hardly pretty. Yet, there's something about it that looks stunning. 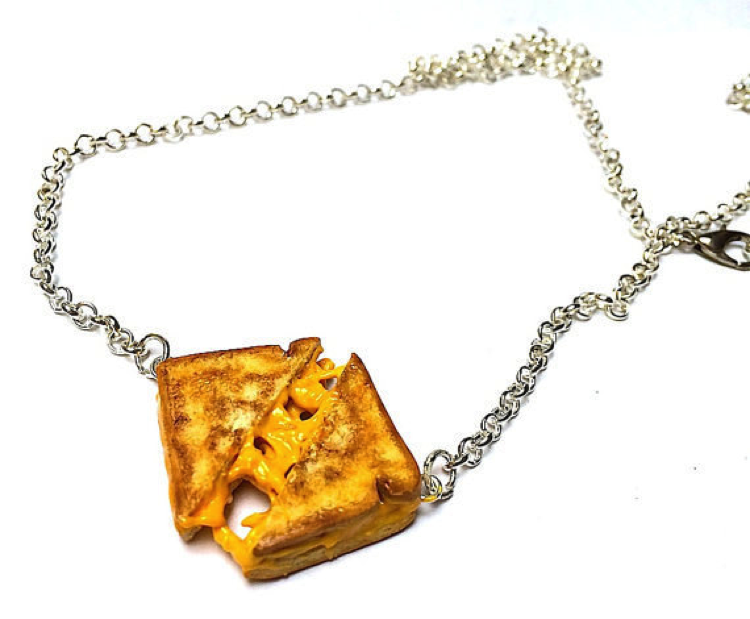 Whether it's the way they've captured the melted cheese, the audacity of putting a food item on a chain, or the fact that grilled cheeses are delicious. Whatever it is, it's a cool item, and one available to buy from certain niche online retailers. Breakfast in bed is awesome. Laying in the warm, munching on your favorite foods while the world goes by outside - what could be better than that? Well, perhaps the quality of the craftsmanship used to make the miniature breakfast artwork above. Featuring a classic fried breakfast, with toast, butter, coffee, bread and ketchup, this mini work of art looks so good you could practically devour it. If it wasn't made from plastic, that is. 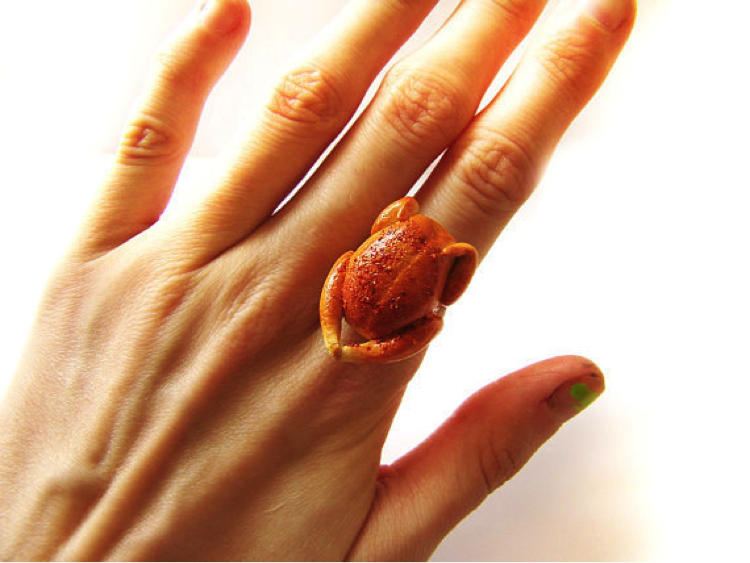 With Christmas around the corner, what better way to show your love for your significant other than to buy him or her a turkey ring? Fashionable it is not, but seasonal? Definitely! Who doesn't like pizza? The warm, ooziness of the cheese as you take your first bite. Yum! 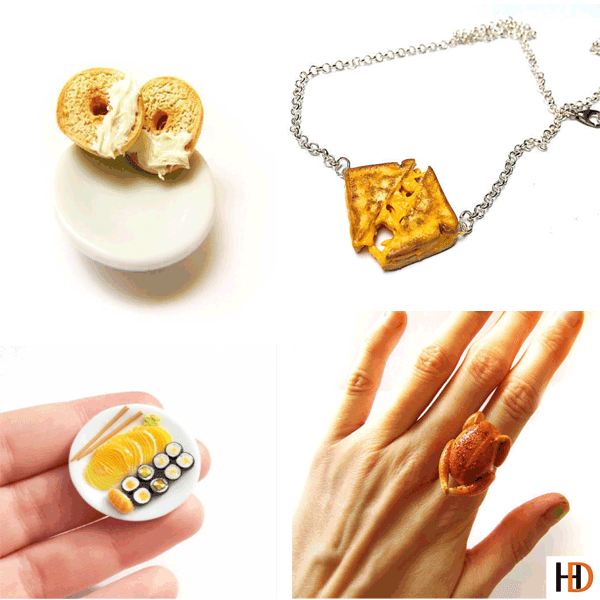 But what are almost as great as that first slice of pizza are these pizza-themed bracelet charms above. 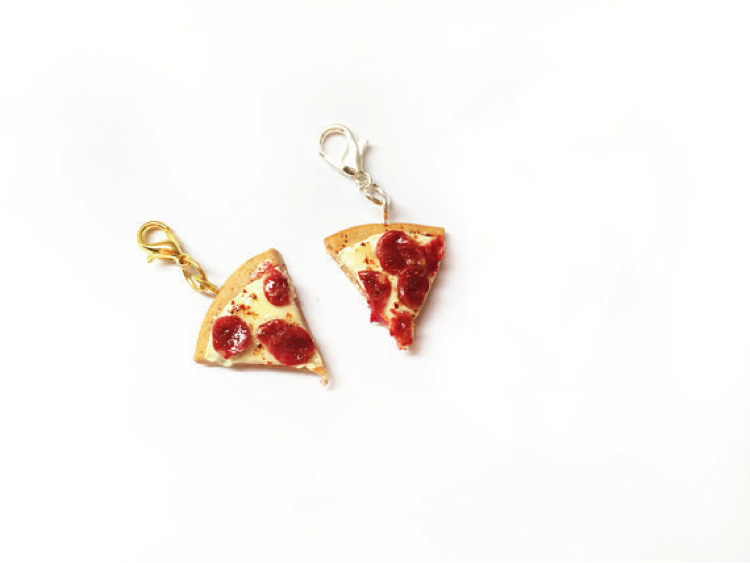 Lovers of pizza everywhere can now keep their favorite food close by at all times. Simply click these onto your regular bracelet, and voila! Pizza cake. What do ants eat for breakfast? Not bread, apparently. 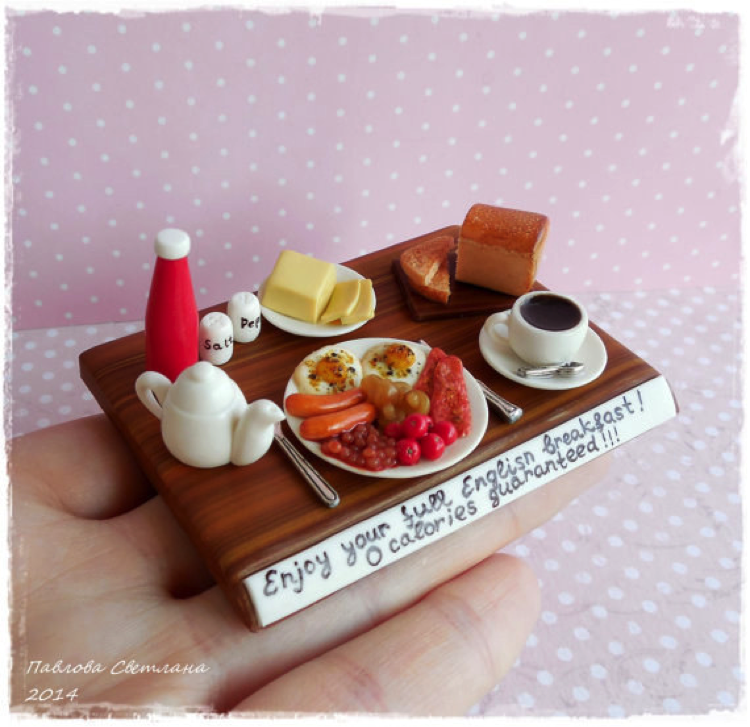 But if they did, this latest design in the miniature food series would be perfect for them. 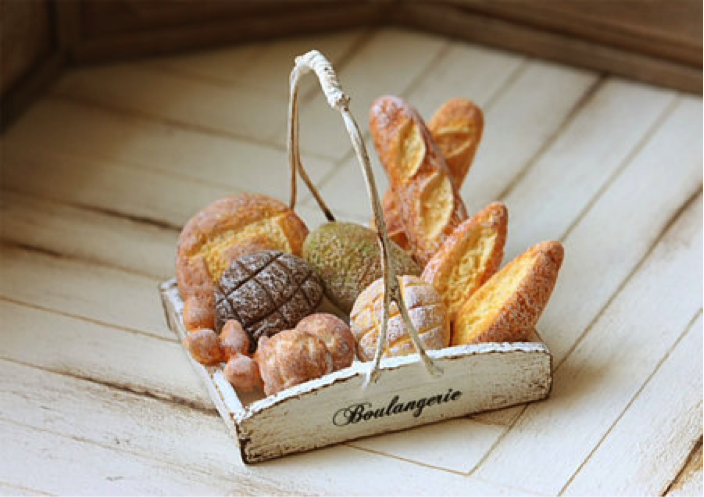 Weighing in at no bigger than a coin, this unbelievable piece could pass for a real-life bread basket. With staggering detail and a perfectly demonstrated rustic theme, it's almost a shame this creation isn't real. Sushi isn't the biggest of foods out there. 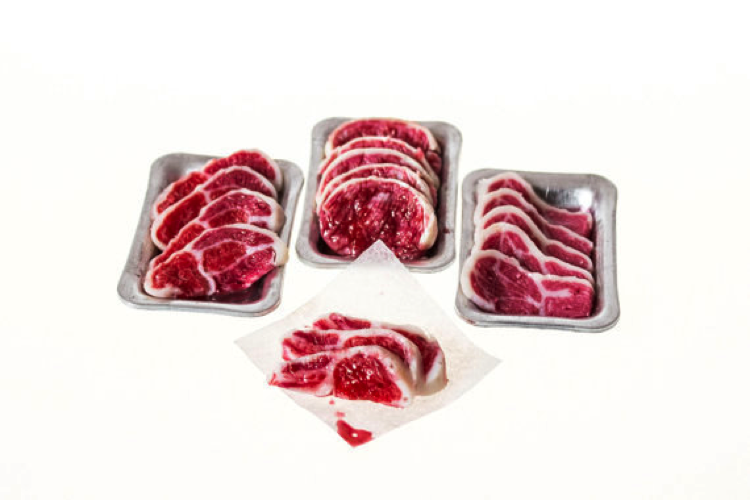 The oriental cuisine makes for a delicate lunch or dinner by combining bite-sized mouthfuls with intense flavor. 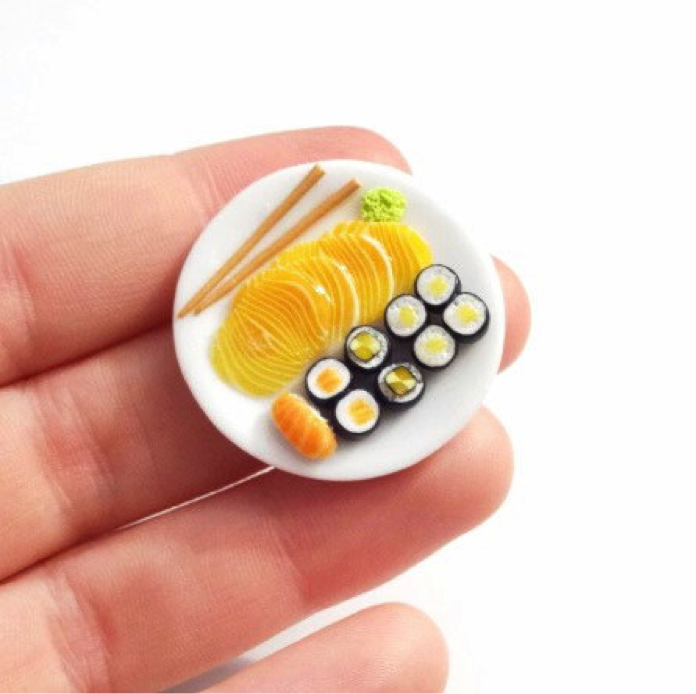 Yet who knew sushi could get even smaller? On top of a mini white place sits a selection of delish sushi dishes no bigger than the tips of your fingers. Whether you love sushi or not, you have to admire the talent used to create the mini sushi artwork above.